Does Your Dental Insurance Cover Cosmetic Dentistry? If you are like one-third of adults, you do not like how your teeth look. Various imperfections, like discoloration, chips, and alignment issues have caused you to develop insecurities about your smile. Although you know that cosmetic dentistry can help you get the results you want, you are concerned about the cost. To make the services more affordable, your dental insurance can sometimes be used to lower the amount that you will have to pay out-of-pocket. Can I Use My Dental Insurance for Cosmetic Dentistry? Generally, you cannot use your dental insurance for cosmetic procedures; however, there are some exceptions. If a treatment is deemed medically necessary to rehabilitate your oral health, your insurance will cover a portion of the treatment. If the procedure is purely elective, your coverage cannot be used. Your dental insurance considers any procedure that only offers aesthetic benefits as an elective procedure. As a result, if a tooth or underlying tissues are not injured, diseases, or decayed, the treatments are elective, so they will not be covered. What Treatments Will Insurance Cover? Nowadays, restorative and cosmetic dentistry can overlap. Your insurance will cover a portion of the cosmetic treatment if your oral health has been compromised by decay, disease, accident, or injury. In some cases, this can also include orthodontics when it is necessary to properly align your bite. Cosmetic Bonding: Not only does this improve the size, shape, and color of your teeth, but it can also be used to repair a tooth that has chipped or cracked. Dental Crowns: Custom-made caps can drastically improve the appearance of a tooth; however, they can also be used in restorative dentistry to help save a damaged tooth from an extraction. Gum Contouring: If your gum line has been damaged due to disease or injury, your insurance will cover the procedure to restore healthy tissue. Tooth Replacement: Now, many insurances will cover dental prosthetics, such as bridges, dentures, and portions of dental implants. What Procedures Are Not Covered? In most cases, your insurance will not cover whitening treatments or porcelain veneers because they are rarely medically necessary. In addition, orthodontics is not covered if the alignment issues are not the result of an accident, injury, or disease. If you are tired of feeling insecure about the appearance of your teeth, your cosmetic dentist can transform your smile. Dr. Mark M. Farthing is a trusted dentist in the community for advanced dental care. In addition to general services, he also offers areas of specialty, including cosmetics. He provides the individualized solutions you need for a healthy, beautiful smile. 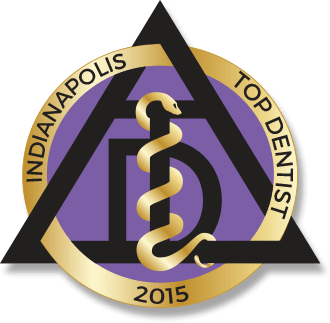 To enhance the appearance of your teeth and your confidence, contact Indianapolis Family Dentistry today to schedule your consultation. Comments Off on Is Cosmetic Dentistry Covered by Insurance?